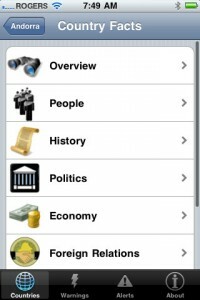 U.S. Traveller iPhone App Review. Traveling to foreign countries can turn from the most pleasurable trips to remember to the worst nightmares. While in some countries you might feel right at home, in others you might feel lost, because of the different culture, laws and traditions. So, how do you know which destination to pick without risking any disappointment? You could waste an entire day googling through different sites or, better yet, you could download U.S. Traveller from the AppStore. What can U.S. Traveller do? U.S. Traveller is the app that tells you everything you need to know before making plans for a trip to a foreign country. 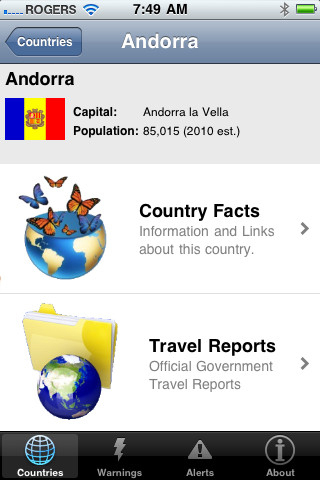 With U.S. Traveller you can find out details concerning country facts and travel reports. From the basic stuff like currency and population, to really interesting facts like entry/exit requirements and medical facilities, U.S. Traveller will make an expert out of you, when it comes to what you know about foreign countries. And the information is as useful as it is easy to find and assimilate. 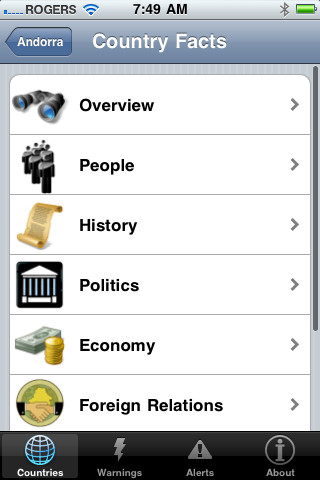 Each of the two main categories is divided into more than 5 subcategories. This makes it really easy for you to check out exactly the information that you need, when you need it. Plus, you don't have to waste hours reading tons of pages concerning a single fact. The information is condensed into a couple of paragraphs that will let you know all you want, without any further, unnecessary details. What sort of information is included? The App Store description brags about having information on over 200 foreign countries, although the U.S. government recognizes only 196 (excluding Taiwan). 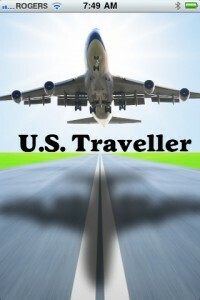 All bickering aside, U.S. Traveller has detailed stats on crime, entry/exit requirements, locations of U.S. Embassies, safety and security on the ground, basic politics and foreign relations as well as a brief history of the people. U.S. Traveller gets its information mainly from the U.S. Department of State website (http://state.gov). But there's still more that U.S. Traveller does to make sure that your trip will be as safe and pleasant as it gets. Besides country facts and travel reports, you can find out about certain alerts or warnings that might make you think twice about visiting a certain country or, at least, you will know what to expect if there's no way to postpone your trip. These alerts and warnings refresh periodically or you can manually refresh them, so that you know at all times about the temporary dangers of visiting other countries. So, next time you're planning on taking a trip to a foreign country, don't waste time checking it online or calling other friends who went there. Just access your U.S. Traveller and find out all you need to know to make your trip an experience worth remembering. I would love it if the developer went one step further and did more than just source the information from the state.gov website. 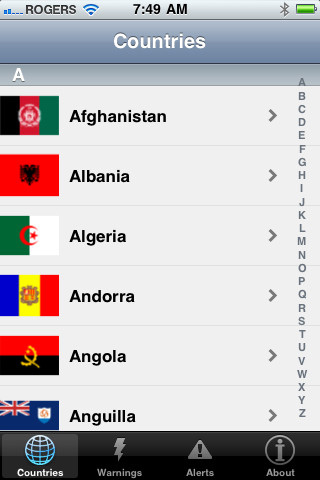 It is nevertheless a very organized app and a must have to download and browse through *before* leaving the U.S.
As a side note, I’m from Romania, and I can’t say I felt offended at all about how the app portrays my country. My advice is that if you don’t want Romania to be your “final destination” then you should definitely get U.S. Traveller. 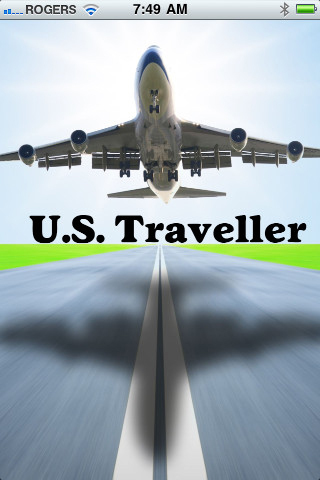 What do you think of U.S. Traveller ? Scroll down for our comment section and let us know!